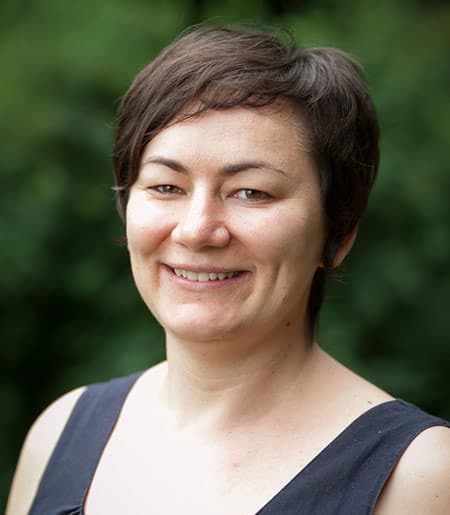 Saida Hodžić, associate professor of anthropology and feminist, gender, and sexuality studies, was awarded the 2017 Michelle Z. Rosaldo Prize for her book, “The Twilight of Cutting: African Activism and Life after NGOs.” The award, given by the Association for Feminist Anthropology, is granted to a first book that embodies the theoretical rigor, ethnographic richness and advancement of feminist scholarship marked by Rosaldo’s career. Hodžić argues that public and scholarly debates about female genital cutting proceed on such a narrow track that they overlook radical transformations across Africa. The book takes African lifeworlds and experiences of women’s rights activism and advocacy as points of departure for analyzing transnational governmentality and rethinking the form and extent of Western responsibility for African problems. Hodžić’s research examines global connections and mutual entanglements of Africa with Europe and the United States. She has written “The Twilight of Cutting” with support from the Harry Frank Guggenheim Foundation and Cornell’s Institute for Social Sciences. Her current research project is a book about humanitarian governance. Spencer De Roos is a communications assistant in the College of Arts & Sciences.